Bridges Head Start is processing applications for the four preschool classrooms at the TC Walker Educational Building . The program is free for families with children that will be 3- 4 years old by September 30, 2019 that meet the income eligibility requirements. Every child receives a variety of learning experiences to foster intellectual, physical, social , and emotional growth. 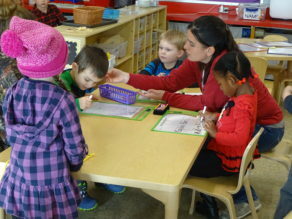 Head Start believes that the parents are a child’s first and most important teacher. The program encourages them to engage in home and center based activities. Head Start assists families to identify their strengths, needs and set family goals and links them to community resources. The program places an emphasis on early identification of health problems and children receiving preventative checkups and care. It encourages good nutrition. Call 804-843-2289 for more information and begin application process.